This is a terrific deal of the day from Graveyard Mall! If your kids are into the Crazy Band craze then you know how expensive they are – they run $4.99 for a bag of 12. That means this deal for 24 bags of 12 would retail for a whopping $119.76! Better grab yours now before they’re gone at the low price of only $23.99. 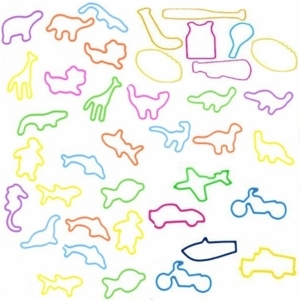 You’ll receive an assortment of bags with animals, sea creatures, transportation, sports, dinosaurs, silly shapes and more!